‘Amour Pour Amour‘ is a studio album containing 11 tracks composed by Paul de Senneville featuring duet performances of Richard Clayderman with The Netherlands’ most famous flautist – Berdien Stenberg. Many of the tracks have been released on collections including iTUNES, some of which are listed above. ‘Danseurs De Lune‘, ‘Quelques Notes Pour Anna‘ and ‘Bram Bogart Mélodie‘. In 1989, the Netherlands’ most famous flautist and France’s best selling pianist teamed up to record a collection of contemporary mellow compositions. 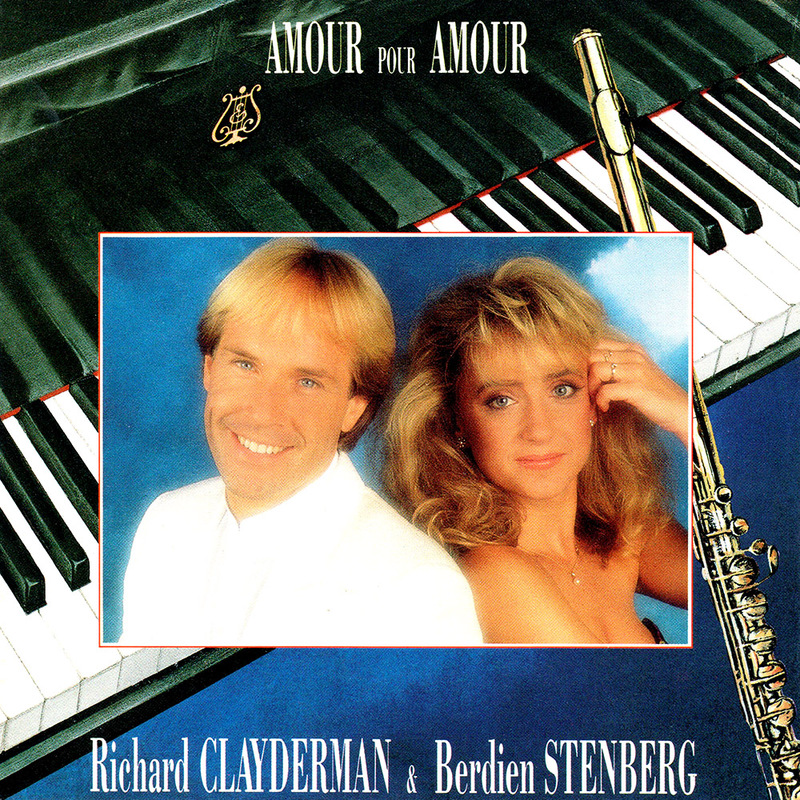 The resulting album by Berdien Stenberg and Richard Clayderman, ‘Amour Pour Amour’, highlights the artists respective brilliance and stands as one of the most thrilling flute and piano recordings ever. Stenberg’s sometimes breathy, sometimes crystalline performance both carries the melody and sets the varied emotional tones of the music, whilst Clayderman’s percussive yet subtle mastery of the piano lends force, texture and verve. Separately, these two musicians have sold 80 million albums [1989 figures]. Together, they redefine the relationship between their chosen instruments, creating a lasting document of musical beauty and truth.